Today is the last day of possibly the most pleasant month of the year: FEBRUARY. Well, let’s say our goodbyes to this short and sweet ( and my favorite) month by learning a few informational and few fun facts about it. This addition was done by the legendary second Roman king Numa Pompilius. February का नाम एक Latin शब्द februum से प्रेरित है जिसका अर्थ है purification. February, as we all know is the second month of the year having 28 or 29 days. Why this confusion? We’ll see. When it comes to the number of days, February has experienced a lot of instability. Remember how we used to make fun of our classmates who had their birthdays on 29th of February. It was a pity that their special day would come once in a four-year time span. This concept is still followed and once in every four-year time span, we get a 29-days long month of February. • In Old English, February was called Solmonath (Mud month) or Kale-monath (Kale or cabbage month). • February remained the last month of the calendar year until 450 BC, when January became the first month and February became the second. • Before Julius Caesar’s calendar reform of 45 BC, February was the only month with an even number of days. All the rest had 29 or 31. • In Catholic tradition, February is the ‘Month of the Purification‘ of the Blessed Virgin Mary. • The largest American sporting event of the year, the Super Bowl, is held in February. • Christiano Ronaldo (Football player) → 05 Feb.
• Jennifer Aniston (Hollywood actress)→ 11 Feb.
• Abraham Lincoln (American President)→ 12 Feb.
• George Washington (First president of United States)→ 22 Feb.
• Steve Jobs (Co-founder of Apple)→ 24 Feb.
1884 – The Oxford Dictionary debuted. 1936 – The last silent film of the era, Modern Times, was released by Charlie Chaplin. Well, all that was quite overwhelming February knowledge. 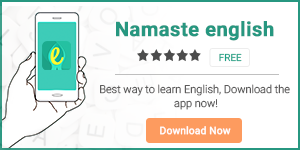 To improve your English language skills, download our apps Namaste English and Hinkhoj. Next articleDoes the word ‘Salary’ Comes from the word ‘Salt’?